Everything is interconnected. Thomas Berry liked to remind people that creation is a communion of subjects, not a collection of objects. Thus care of our beloved Earth includes care for every component of it. This season the Sisters of the Holy Child (I am one) are focusing our corporate justice efforts on human trafficking. A 2012 report from the United Nations Office on Drugs and Crime on human trafficking says around 20.9 million victims are forced into labor globally. “Labor” includes any work that is not voluntary, where freedom is denied and, too often, conditions are deplorable. This includes situations that are agricultural, domestic, manufacturing, or sexual. Trafficking for organ transplants also occurs. Human trafficking is not limited to poor and underdeveloped areas, but extends to all world regions, including cities throughout the United States. Given the rapid increase in this slavery, it is possible that trafficking in persons could exceed the trafficking of drugs and arms, making it the most lucrative criminal activity in the world. Many countries (and states in the U.S.) have made laws meant to stop trafficking and assist victims of it. Vatican experts will gather November 2013 to tackle the growing scourge of human trafficking. The bishop’s academy, with the Pontifical Academy of Social Sciences and the World Federation of Catholic Medical Associations, will meet at the Vatican City’s Casina Pio IV to discuss a Vatican action plan to help combat what is often referred to as the modern slave trade. 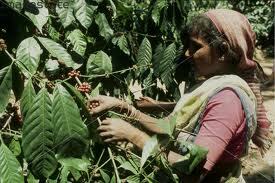 Buying Fair Trade coffee and chocolate is one sure way to reduce the demand for trafficked laborers. Children are often trafficked to be used/abused in the growth and production of both coffee and chocolate. Multiple reports show that children aged 12-16, but sometimes as young as 7-9, are tricked, smuggled, and sold to work as slave labor working with coffee beans and cocoa beans. Thus one way to both care for creation and reduce trafficking is to purchase sustainable and fair trade coffee and chocolate. Fair-trade certification means that workers are paid fair wages, are free from abusive, exploitative labor practices, work in healthy and safe conditions, and that land, water, and birds are protected because growers use environmentally sustainable methods. Hundreds of thousands of farmers and workers in about 70 countries have benefited from fair trade practices. By buying fair-trade coffee and chocolate we increase the demand for products free of abusive child labor and slavery. When buying coffee and chocolate (and other products), check for a sign that it is Fair Trade. Some products have a rectangular black and white seal; others (e.g., Equal Exchange) mark themselves as “Fairly Traded” or (e.g., Theo chocolate) “fair for life.” Recommended coffee companies include Equal Exchange and Thanksgiving Coffee Company. Look for fair trade labels on other brands (e.g., Dunkin’ Donuts, Starbucks, Allegro, Green Mountain, Ben & Jerry’s) that provide some, but not all, fair trade. These brands might be more expensive than brands like Nestle (Hills Brothers, Nescafe, Taster’s Choice) and Philip Morris (Brim, General Foods, Gevalia, Maxim, Maxwell House, Sanka), but the cheaper price might mean that child labor — or poor sustainability practices — are used. (No, I am not accusing these brands.) In this case, we definitely don’t want to buy the cheapest product! Reducing child trafficking is surely priceless! Those who already buy only Fair Trade products can be comforted to know that they are reducing the number of children who are trafficked. Naturally buying fair trade products will not eliminate all human trafficking, but it will take a bite (sorry, couldn’t resist) from this modern slavery.